Oh Dog! It’s Friday! I am so glad! Today in honor of the season, I will share this poem. An original poem by Rumpy Dog! Weekends were fun, ’til the holidays came. Now ‘tis the season,’ and nothing’s the same. They’re up early shopping, they’re gone in a rush. The humans are baking. The smells fill the air. But nothing for me. That just isn’t fair! Don’t forget goodwill toward man’s best friend! « A Pet Gift Guide for Non-Pet People! woo woo woo to you, Kitties!!!! You should come visit me. We are baking for dogs, spending lots of time together, no leaving us behind here! We love your blog so much, that we’ve nominated you for the Blog of the Year Award 2013! wow Rumpster! Great poem! I absolutely loved it! very well said! Apaws, apaws Rumpy! You are inspiring me! Woooowooooooo! THAT is a SUPER Poem Rumpy!!! Love your poem!! So sad that it rings true for so many pets! Hope you’re enjoying the holidays so far!! Too cute! 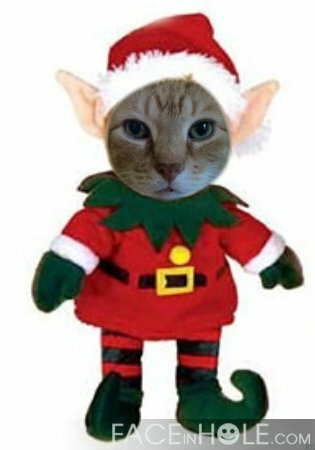 During the holidays, since our family is so far from us, we tend to involve our critters as much as possible. By making stockings for them and stuffing them with safe home-made treats, a couple of brand new toys, tip-proof christmas tree, and critter-safe decorations. good one Rumpy! Thanks for reminding the humans! 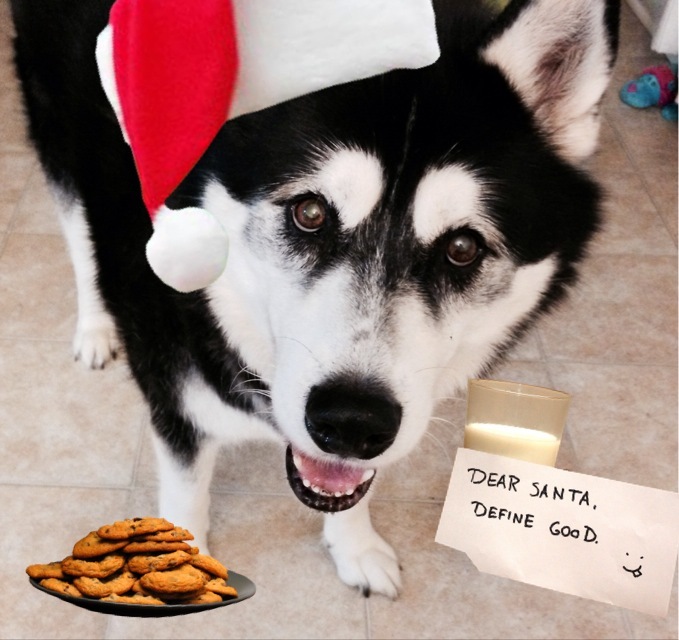 We LOVE your picture and your poem, R. Sometimes, when the cookie smells get too overwhelming, you have to take matters into your own paws, if you know what I mean. Love the poem, Rumpy. You are so talented!! Great poem, I think it’s so important to include your pets in the holiday fun as long as it’s safe for them. Cute! 🙂 Rumpy is an excellent poet. Reblogged this on Penspen's Blog.